It happens to even the best parents, usually at the worst times. In the doctor’s office. In line at the grocery store. In the middle of a playdate. 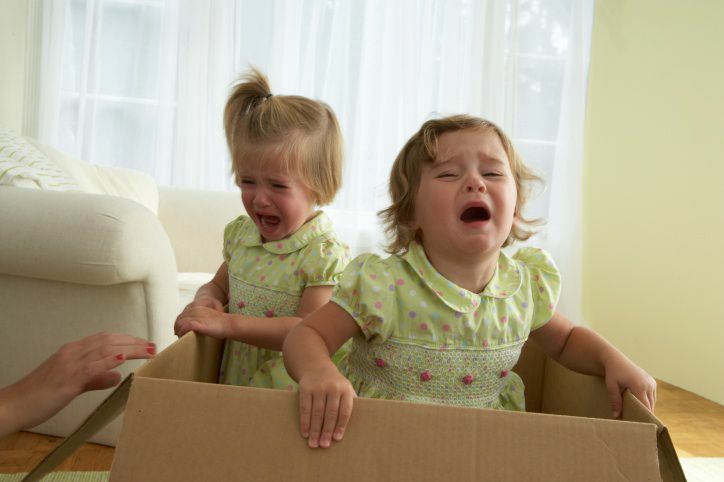 The dreaded temper tantrum can occur at any time and often without warning. Why Do Kids Have Temper Tantrums? Preschoolers have yet to develop skills that will allow them to express themselves the way they might like to and when they are unable to get their message across, a breakdown may often occur. Sometimes a child may not know what he wants — he could be tired or hungry or just plain bored. If the child is trying something for the first time — tying shoes for example and just can't figure it out. He could just be having a bad day. Some children will rarely have tantrums while others could have them a few times a day. There's no clear-cut reason why this happens, but childhood development experts suspect a number of different factors, including the child's age, stress levels, his general disposition and health issues both diagnosed and undiagnosed. You should also consider your own behavior. Do you give in to your child’s demands easily or are you very stern? Some studies have found that often a child has a tantrum in reaction to how a parent responds to a situation, whether it's saying yes or no to buying a piece of candy at the grocery store or when a child asks for a few more minutes at the playground. There are a couple of schools of thought on handling the tantrum and which you choose will depend on where you are one what type of kid you have. Ignore it: If you can, try walking away, making sure that your child is safe first. Stay nearby, but make sure it’s clear by your actions that her display has no effect on you. Don’t make eye contact and don’t talk to her. When she sees that she’s not getting a reaction, she’ll probably stop. Diffuse it: If you don’t have the stomach to be passive, there are some techniques you can try. Soothe your child by rubbing her back and talk to her in low, quiet tones. Some parents find repeating the same phrase over and over again like, “You’re OK,” or “It’s alright” or singing a quiet song or nursery rhyme seems to work. You can also try injecting a little humor into the situation by telling a silly joke or making a funny face. What you shouldn't do: yell back at your child or try to reason with him. While your child in the middle of an emotional outburst, there is no way to get through to him. You just have to wait until it is over. If the tantrum is in a public place, pick her up and bring her to a more private location like your car or a public bathroom. If you can’t get the tantrum under control, put her into her car seat and go home. Unfortunately, there are some instances where you just can’t leave, such as an airplane or a train. Just do your best and grin and bear it. Others might be annoyed but your child is your concern, not anyone else. If your child starts to bite, kick, hit or show some other aggressive behaviors, you must take action immediately. Remove the child from the situation until she can calm down. When the tantrum is over, don’t dwell on what happened as upset or as angry as you may be. Going over what happened, again and again, will most likely upset your child and could cause them to begin to tantrum again. Instead, give her a hug and a kiss and move on. If you feel like you need to talk about it, wait a few hours when you are both calmer. The good news is, this stage won’t last forever. As your child matures and learns how to better express himself, she’ll learn how to handle her emotions.